Blog home > Opinion > Otters in Shetland. Taking on a photo-led book that focuses on just one species is brave. Especially so when that species is painfully difficult to photograph. Eurasian otters are painfully difficult to photograph. I’ve just enjoyed reviewing Otters in Shetland, the recently published celebration of not just otters in general, but specifically those that make their living on Shetland’s rugged and storm-beaten coastline. It is a book that I can only describe as remarkable. Truly. This book has hard work, passion and determination written all over it. 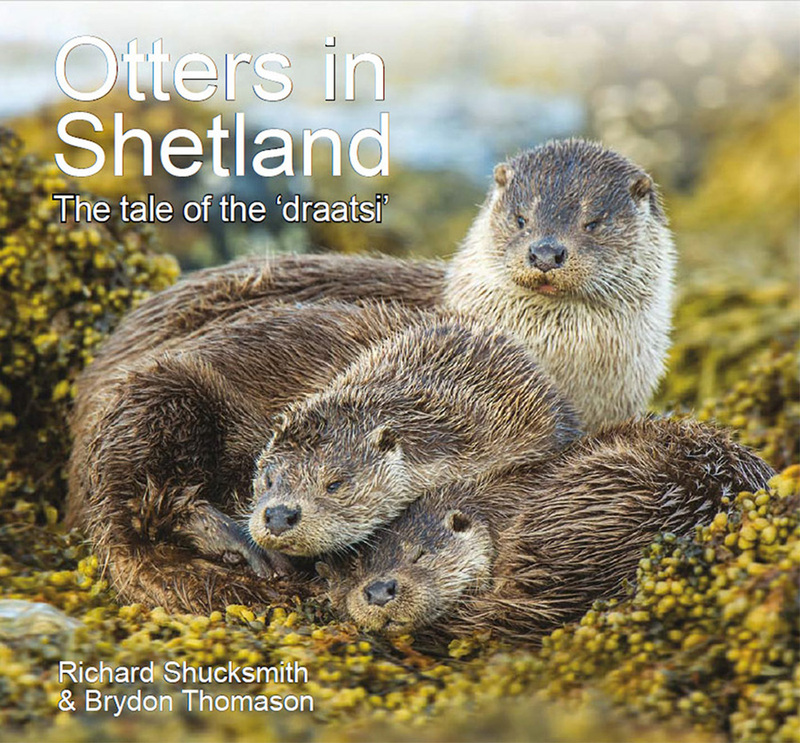 This book could not have been produced by anyone other than Brydon Thomason and Richard Shucksmith, two Shetland photographers who have devoted days, weeks, months, years to their craft. I’ve worked with both Brydon and Richard and I have to admit that when I heard they were publishing a book alongside their already busy lives, I feared it might fall short. I feared they might fall into the all-too-easy trap of cutting corners, of filling the book with mediocre images – simply to get it published. I’m a picky so and so and I could split a hair or two about the images not being given enough space but in truth, I am splitting hairs and really fine hairs at that. No, I needn’t have feared. This is a comprehensive and magical portrayal of the lives of Shetland’s otters with not a mediocre image to be seen throughout. And I’m talking a lot of images. It will appeal to photographers like me, who will marvel at the dedication required to produce such a monumental body of work, but it will also appeal to anyone with an interest in otters, or in Shetland or in both. This book has hard work, passion and determination written all over it. Otters in Shetland should be on your bookshelf for it is the work of two skilled photographers who know more than a thing or two about otters. This is wildlife photography like it used to be. like it was meant to be. This is good old-fashioned fieldcraft and perseverance. This is wildlife photography at its best. Hats off to you fellas – top, top work. I was given this book as at Christmas and totally agree, it is a truly remarkable book – the boys should be very proud of themselves. At your recommendation I have spent several sessions with Brydon in the search for otters and every time he has come up trumps. He really does know the draatsi and their habits. I’m not saying my photos are anything like as good as Brydon’s and Richard’s, but without their help I would have no otter photos at all, so thanks to them and to you too for the recommendation! On a personal level the book was a wonderful reminder for me of the days spent otter “hunting” with Brydon, but I would definitely recommend it to anyone with an interest in otters – it is simply wonderful!